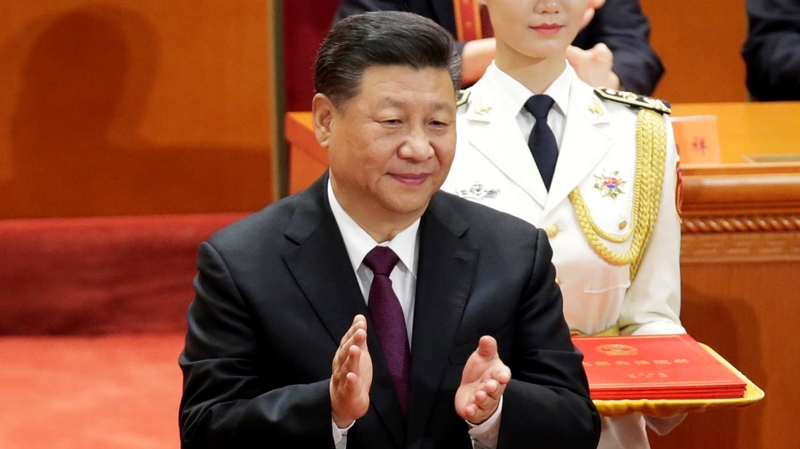 President Xi Jinping is giving a keynote speech marking 40 years since China’s economy opened up to the rest of the world, in a move that has transformed the world’s most popular country into a global economic powerhouse. The brainchild of late paramount leader Deng Xiaoping, the “reform and opening up” programme was ratified at a Communist Party summit on December 18, 1978, breaking with the policies of his predecessor, Chairman Mao Zedong. The reforms ditched Maoist-style collectivisation that left the nation impoverished and backward, launching a new era which led to double-digit annual growth that pulled millions out of poverty. “Exactly 40 years ago, Deng outlined the start of an experiment that no Communist government had ever tried before – that you would simply end the planned economy but you would keep the communist system – a communist system managing effectively a capitalist system,” said Al Jazeera’s Adrian Brown, reporting from China’s capital, Beijing. “This is when China began to tiptoe into capitalism, and of course the impact of what started here 40 years ago is still being felt today,” he added. The world’s second biggest economy, behind the United States, China now also boasts the most dollar billionaires in the world with 620, according to Shanghai-based magazine publisher Hurun Report. However, about 80 million people are still living on less than $2 day. The economic transformation has not brought changes to the Communist Party-controlled political system, with authorities harshly cracking down on the Tiananmen protests in 1989 and activists complaining of a deterioration of human rights in recent years. “Reform and opening up let the Communist Party maintain its dictatorship and let it keep its rule from collapsing after the Cold War and survive,” Beijing-based political analyst Wu Qiang told the AFP news agency. “I think China now is state capitalism under a one-party dictatorship, or party-run capitalism,” he said. Xi, who has become the country’s most powerful leader since Mao and secured this year a potential path to lifelong rule, delivered the speech to mark the 40th anniversary at the imposing Great Hall of the People off Beijing’s Tiananmen Square. The commemoration comes as China is locked in a bruising trade war with the US, in which the two sides have exchanged tariffs on hundreds of billions of dollars worth of goods. The two sides have agreed to a 90-day truce as they seek to negotiate a solution, with Washington keen on a reduction in its massive trade deficit as well as deeper reforms in Beijing to stop the alleged theft of intellectual property. China is also facing a debt mountain and a slowing economy, which grew by 6.9 percent last year and is expected by the government to slow to around 6.5 percent this year. Despite the challenges, Brown said Chinese leaders will be keen to point to the economic transformation during the past four decades as evidence of being able “to grow an economy without democracy, without a free internet, without free media and without being overly concerned about human rights. Fraser Howie, a Singapore-based independent analyst, said Xi’s “inclination is one of control, not one of openess”. “He has brought in a system where he is very much at the centre of the Communist Party, and the Communist Party is becoming ever more central to the economy and the society, so he’s actually backtracking on many of those reforms,” Howe, co-author of Privatising China: Inside China’s Stockmarkets, told Al Jazeera. Howie also said that the trade war with the US came at the worst time for China, which is trying to tackle domestic problems. Wu said the trade war with the US could be a chance for China to enact more changes. “If the Communist Party is smart enough, it may transform it into the starting point of a second reform and opening up and change the role of the party and the state,” Wu said. When the party enacted the reforms, China was still suffering from famine and was emerging from the Cultural Revolution, a period of intense social and political upheaval launched by Mao. This new “revolution” started in the countryside, where authorities began to de-collectivise land and dismantle communes, but it quickly spread to cities. Southern cities including Shenzhen, which borders Hong Kong and was still a fishing village, were designated China’s first Special Economic Zones that became powerhouses and models for the rest of the country. Shenzhen has become a global technological hub, with China’s internet giant Tencent and telecom titan Huawei choosing the city for their headquarters.